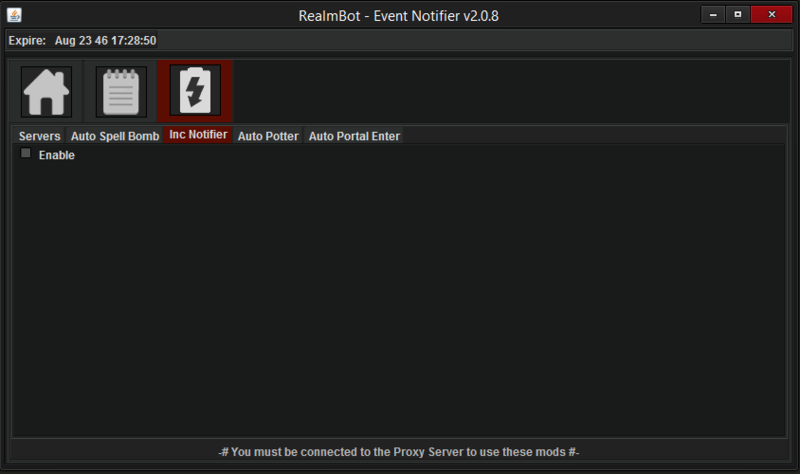 RealmBot isn't only an event notifier, it will also tell you if someone is holding an INC in his inventory! [INC] next to the realm means someone has an inc! 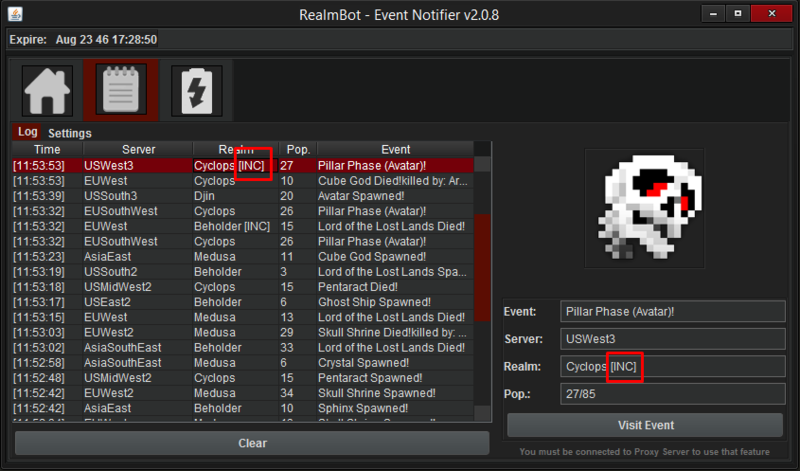 Also you can use /inc command when you are at any realm, to see specific users who has inc.
To use and see Inc notifications in realm navigate to Custom options -> Inc notifier and make sure you have checked "Enable" button and thats it. Next time you visit realm with INC or you type /inc command you'll see who is holding inc.